Rosen Inn at Pointe Orlando is located in the heart of Orlando’s attractions district off of International Drive with Orlando’s world-famous theme parks and entertainment just minutes away. Tour and sightsee Orlando by day; return and relax for a peaceful night’s sleep at Rosen Inn Pointe Orlando. Below we’ve listed the top activities, theme parks, and attractions—along with the distance from the hotel—to help you plan your visit to Orlando. 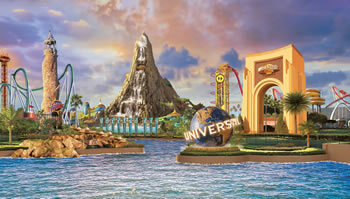 Purchase theme park tickets from our guest services ticket and attractions concierge desk and take advantage of our complimentary shuttles to Universal Orlando Resort™, SeaWorld®, and Aquatica® (reservations required). Please check guest services for availability and to make reservations.